Actor Vikram is on a signing spree. 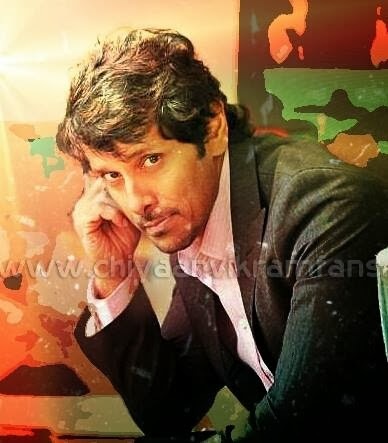 Chiyaan, who is now working on director Shankar’s mega budget movie, Ai had recently signed movies with directors Dharani and Gautham Menon. Now or sources inform us that he will also do a movie for director Hari, the director of the recent super hit, Suriya starrer Singam 2. Shankar and company are expected to complete the shooting of Ai by the end of 2013 or in the early 2014, after which Vikram is expected to move on to his new commitments. Meanwhile, Shankar has given Vikram a number of make overs for Vikram in Ai. Pairing up opposite the actor is the british beauty, Amy Jackson. PC Sreeram is behind the camera and AR Rahman is composing music for the film.